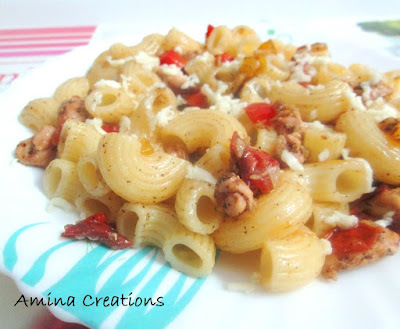 We often cook Pasta at home as it is one of my family’s favourite dishes. 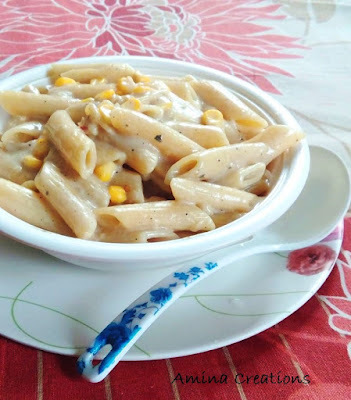 Be it Macaroni, Penne pasta, Spiral pasta or Chifferi rigati, we like pasta in all forms and flavors and in this post I am sharing about 12 Pasta recipes posted in this blog. 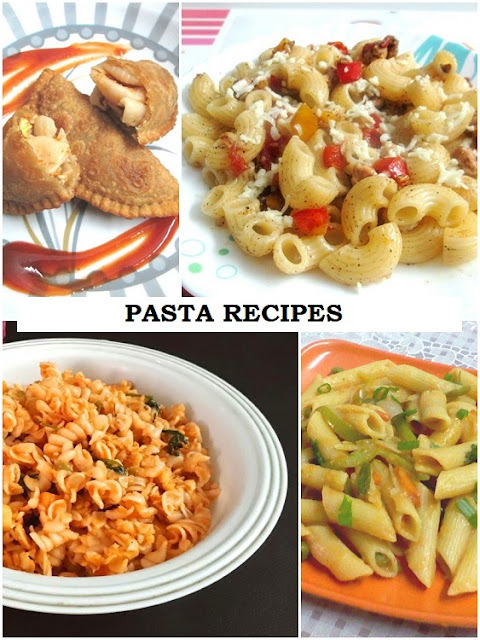 Just click on the links to get the recipes, cook them and enjoy. 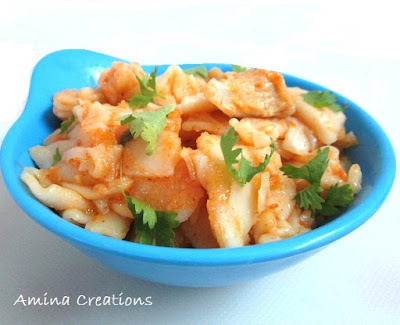 Handmade pasta made of rice flour and then cooked in a flavourful and spicy chicken gravy. 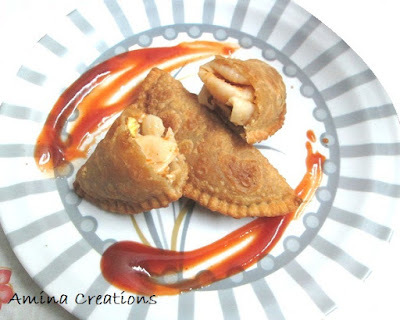 Samosa with a twist... Macaroni filling inside. 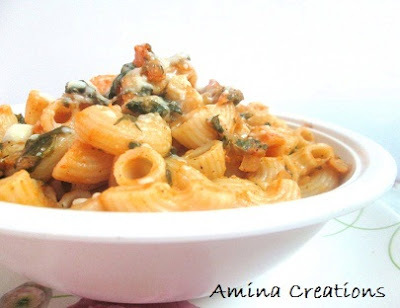 Quick and easy chicken macaroni that can be cooked in a pressure cooker. Thanks a ton... I was searching for this... 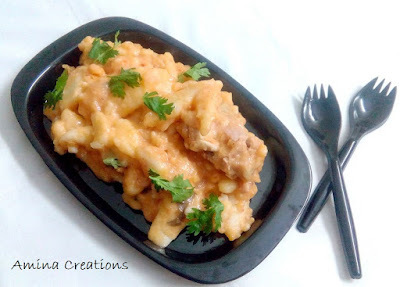 I always love all ur recipes ... They r simple n easy n delicious..